Greetings for the Day , let me take this opportunity to Introduce our Firm .”Investors friend” is group of Professionals having good working experience in field of Real Estate consultancy , Event Management , Education Consultancy and Home Secure Security Systems . We believe in working with Trust and keeping our investors Trust in us . We are having very good opportunity for Investment in land for Township Development at Lucknow on all Highways .. 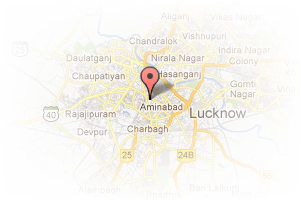 Address: 4/45 Vibhav Khand , Gomti Nagar, Lucknow, Vibhav Khand - 4, Lucknow, Uttar Pradesh, India. 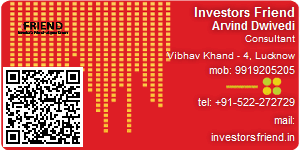 This Builder Profile page for "Investors Friend" has been created by PropertyWala.com. "Investors Friend" is not endorsed by or affiliated with PropertyWala.com. For questions regarding Builder Profiles on PropertyWala.com please contact us.